On a recent trip t the USA, Mark Jurgens was part of a South African contingent of invited financial advisors. 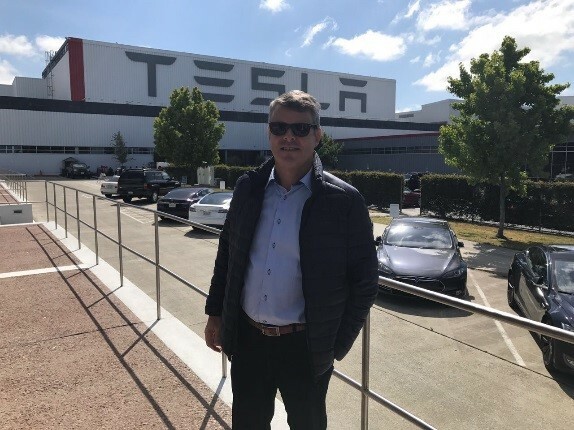 One of many of the blue-chip companies visited was the Tesla Factory in Fremont, California. This is one of the world’s most advanced automotive plants. 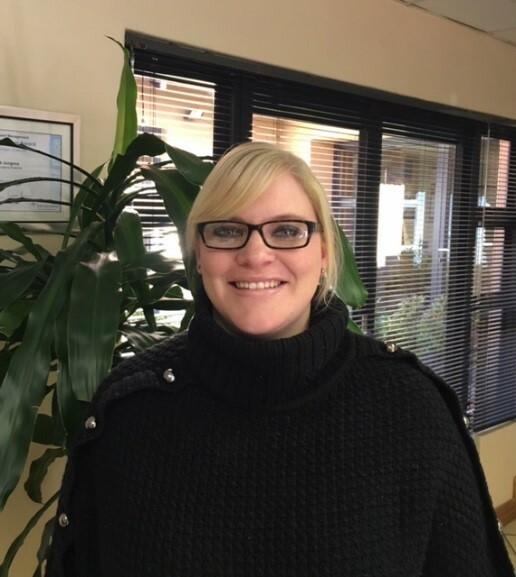 makes Andrea an asset to the Jurgens life and investment administration team. It seems like only yesterday that we were discussing hot weather and drought warnings – now we are thankfully no longer experiencing a drought (in Gauteng at least) and we are all reaching for our winter woolies and heaters! I have recently returned from an investment business trip to the USA where I was fortunate enough to meet with various global companies. These included a couple of investment companies, banks, as well as IT companies such as Google, Microsoft and Amazon. The IT industry is growing at a rapid pace and the growth opportunities are abundant. Their modern approach to office life and young start-up business was a true eye opener. Our emerging youth have opportunities available to them that many of us have not yet begun to contemplate – an arena well worth researching! Back on the home front, many of you are aware that we have allocated a generous portion of your investment portfolios to offshore investment opportunities. This has been essential due to the political uncertainty over the last two years. Year to date, the market is performing better than it has over recent years. The R/USD exchange rate has a larger effect on investment returns than most people realize and our downgrade negatives may only be realised a few years down the line, as well as the possible implications of state capture. To reiterate, the most important thing an investor can do in these uncertain times is remain calm, stick to their long-term investment plan and not make hasty decisions. It is important to mention that all portfolios are managed on a daily basis. The relevant fund managers of the various companies, make adjustments within the funds, to counter-act the effects of our ever-changing economic environment. There is a saying that “Winter is the season for recovery and preparation” – may this winter be just that! Taking an active approach to estate planning is critical, as it involves the alignment of estate planning instruments for a client’s benefit during their lifetime. A further consideration, is the benefit to the ultimate beneficiaries, which also requires adjustment from time to time due to changing personal needs and regulations. Trust assets (To be dealt with by the Trustees of the Trust according to Trust Deed). Retirement fund benefits. (The Pension Funds Act regulates these while you are a member of the fund. If you elect a living annuity after retirement, you will be able to nominate a beneficiary for such proceeds. In addition to having four ‘Estates to consider’, life is not simple, and things change along the way – both good and bad. Estate planning must take these events (and potential events) into account and be flexible enough to meet your changing needs. Do you have a strategic Estate plan in place? Do you have a plan in place that takes the ‘4 Estates’ and your personal requirements into account? Does the plan meet the long-term wishes you hold for your Estate? Is the plan flexible enough to allow you to change the structure should your circumstances change? Do you have a signed and up-to-date will? This is the pivotal point of successful Estate planning – your plan may collapse without it. A Will must express your wishes, be valid, signed, and up-to-date. If you have assets offshore, you can have a foreign Will in addition to a South African Will, or one Will dealing with both your local and foreign assets. Have you used the R3.5m abatement to best effect? Each Estate is entitled to a deduction of R3 500 000. For spouses, the unused portion of the R3.5m abatement amount will ‘roll over’ to the surviving spouse’s Estate if not used. Is ‘my’ family Trust at risk? Often in family Trust situations, risks are ignored and misunderstood. The control, ownership and benefits become so mixed up, that there is no Trust, the risk of which exists that the Trust assets vest in the ‘client’. This reduces the benefits of having a Trust as an instrument in Estate planning. Are my Buy & Sell agreements going to protect my family? Research shows that 75% of Buy & Sell agreements don’t work to the benefit of the client. Typical problems include agreements not properly signed, agreements in conflict with a client’s Will, or in-community of property marriages not considered. 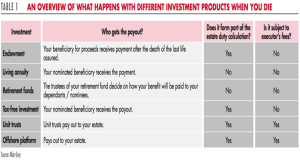 Are my policy beneficiary nominations up to date? 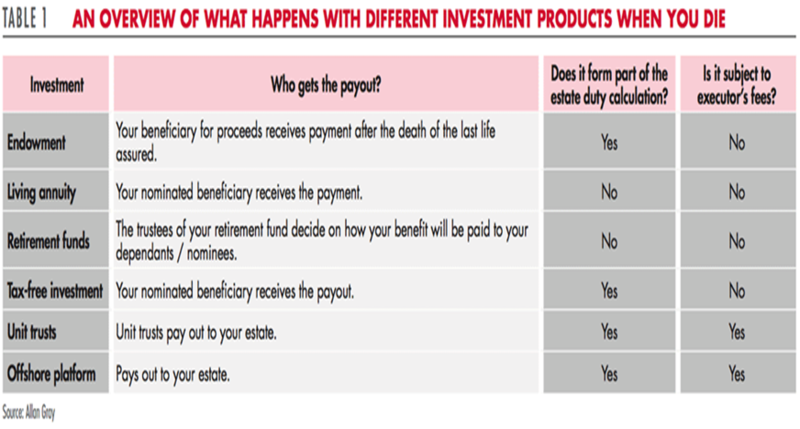 It’s important to note that nominating a beneficiary can save on executor’s fees but won’t save on estate duty (as the policy still forms part of the estate). Have I made sufficient provision for liquidity? An Estate Plan should also provide for liquidity for winding up expenses, to prevent dependants having to sell off assets to meet these expenses. A Life assurance policy is a reliable and convenient way to provide for liquidity within the Estate. Will my family know what to do in the event of my death? Ensure that you, your spouse and family build a relationship with your financial adviser, who can assist with the financial intricacies at the time of loss of a family member. Also make sure that your family knows where to access a copy of your Will. The team at Jurgens Finance are well equipped and ready to assist in all estate planning considerations. In May this year, the world at large woke up to a very scary reality – we are all vulnerable to ransomware and other cyber-attacks, either directly in our personal capacity or indirectly through the services to which we rely upon daily. Friday the 12th of May saw over 100,000 computers in over 70 countries hit by a strain of ransomware known as Wcry or WannaCry. A pop-up will then appear on the victim’s computer’s screen demanding a ransom of $300 in Bitcoin within three days. Failure to comply will result in the price doubling and after seven days, WannaCry will render the data permanently irretrievable. Bitcoin is an online currency infamous for its anonymity and preferential status as a medium of exchange amongst black-market traders. While companies might be able to afford $300 to get their crucial information back, individuals in their personal capacity can hardly afford to do this – and there’s no guarantee of encryption release. Through some intervention by a security researcher, the ransomware was prevented from replicating itself. Whilst infected computers remained encrypted, this stopped the further spread of the malware. By then over 126,000 computers in 104 countries (with more than half of the infection reports coming from Russia). However, this only managed to stop a single strain of the virus and as predicted, WannaCry 2.0 hit the web shortly after the initial victory. By Sunday morning on 14 May, the latest count showed over 200,000 victims in at least 150 countries – most of those victims being businesses. Fortunately, a “patch” was created and could be downloaded for free, effectively blocking variants of WannaCry from infecting your computer. Cyber Risks insurance is set to be a challenge for insurers – a risk which may prove to be the hailstorm of the cyber world crashing down on a global scale to put a dent in our day. Jurgens Group, in conjunction with various product suppliers, is well positioned in the cyber risks market and offers a comprehensive policy for this type of cover. Please contact Jurgens Insurance Brokers for further information. ” It is not the strongest of the species that survives, nor the most intelligent that survives.